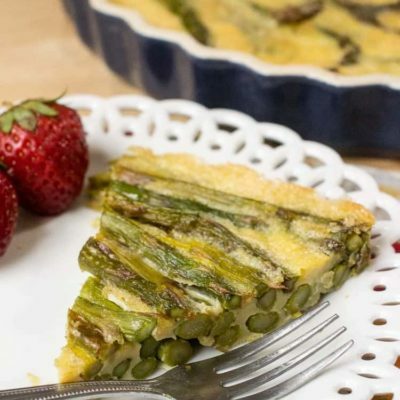 This Asparagus Quiche has only 3 ingredients to let the roasted asparagus star in this perfect spring brunch dish. And I bet you’ll never guess what the 3rd ingredient is. When I posted a teaser photo on both Instagram and Facebook asking my readers to guess my secret ingredient no one got it. Dozens of guesses and not a single right answer. Ready to find out with it is? Here is a big hint. This is dairy free. So it is not butter, cream, cheese, cream cheese, or cottage cheese. My secret ingredient is Buttery Coconut Oil! I used it to roast the asparagus and then decided to throw some into the blender with the eggs and see what happened. What happened was a delicious buttery egg filling that got crusty around the edges. 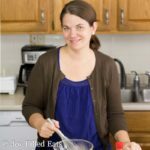 I always encourage my readers to tweak recipes to their tastes. Love bacon? Go ahead and add some. Don’t care about this being dairy-free? Toss in some cheese. I’d love to try it with a herbed goat cheese. Have an abundance of fresh herbs in your garden? Chop up with basil and sprinkle it in. I thought about adding some sun-dried tomatoes but decided that 3 was the magic number for this recipe. 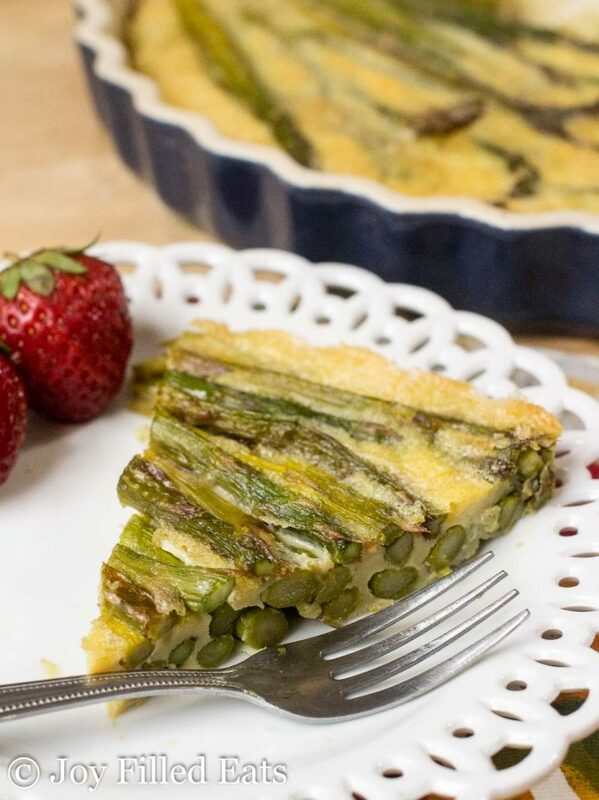 I loved making a pretty design with my roasted asparagus but that does mean a few lucky slices get all the asparagus tips. 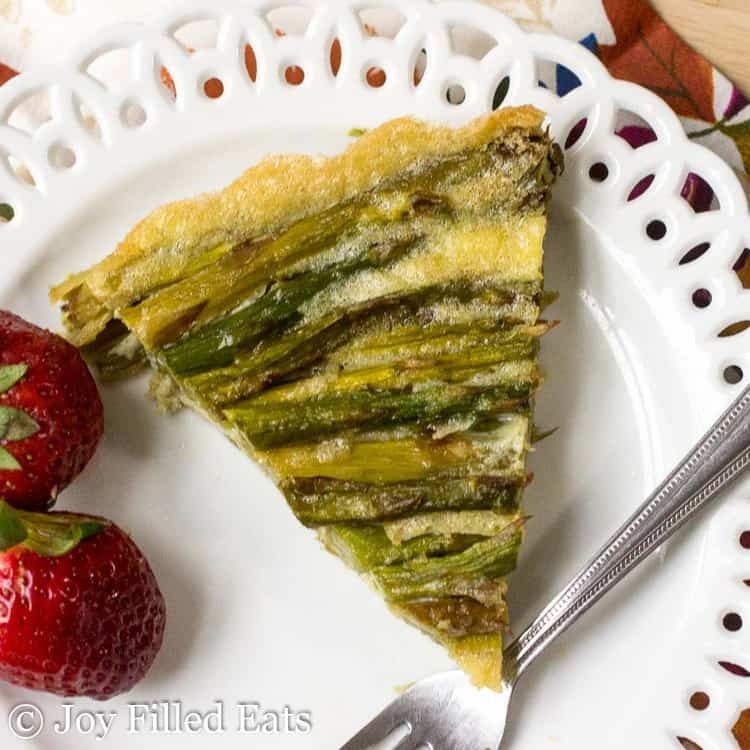 With only 3 ingredients this asparagus quiche is the ideal easy brunch entree. Put 1 tablespoon of coconut oil on a large rimmed baking sheet. Add the asparagus. Roast the asparagus for 15 minutes or until crisp tender. Meanwhile, combine the eggs, 2 tablespoons coconut oil and salt in a blender. Process until smooth. Reduce the oven to 350. 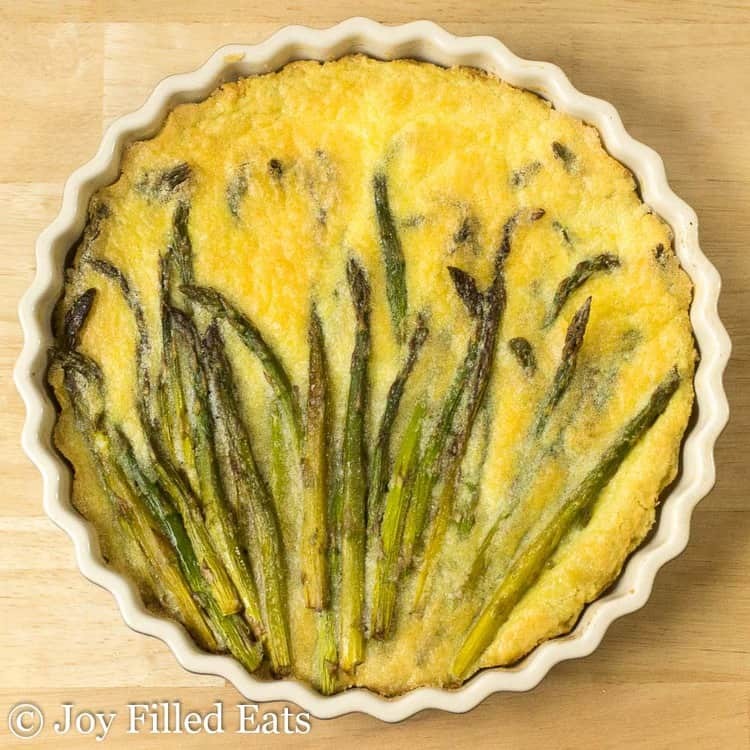 Put the roast asparagus in a large greased quiche pan or casserole dish. 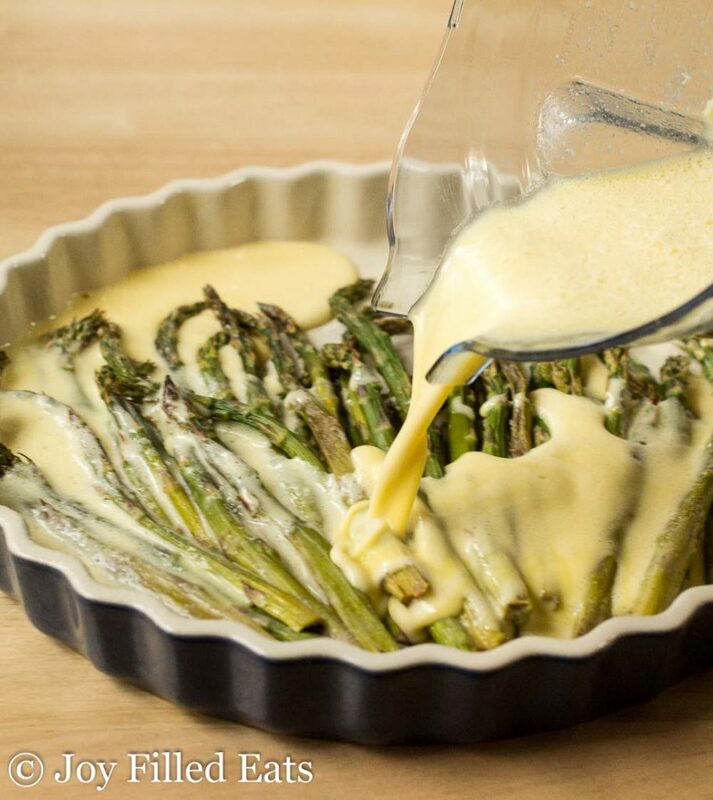 Pour the egg mixture over the asparagus. Bake for 30 minutes or until the egg has set in the center and no longer jiggles. Yum! This looks delicious and I love the idea you have for throwing in the herbed goat cheese. Definitely a quiche to try. I love how easy and simple this is! 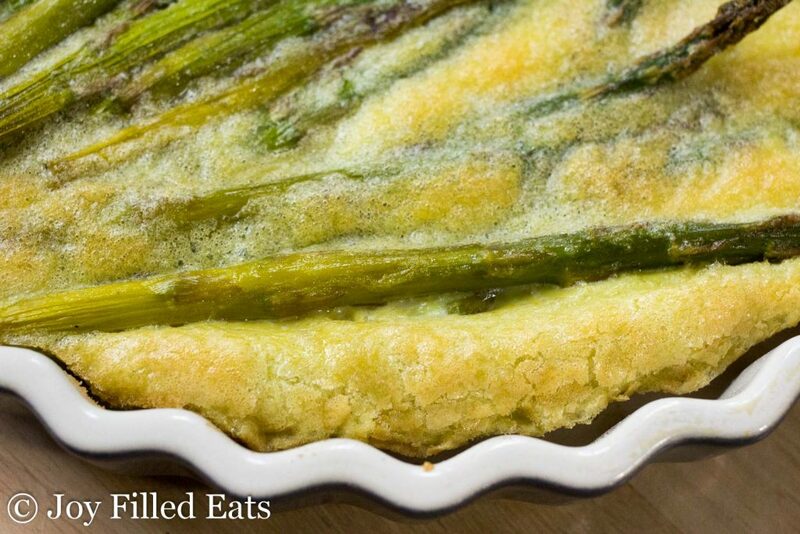 When I saw this recipe with all that asparagus, I knew I had to make it! It was absolutely delicious. Great recipe. I'm not kidding when I say brunch is my favorite meal! 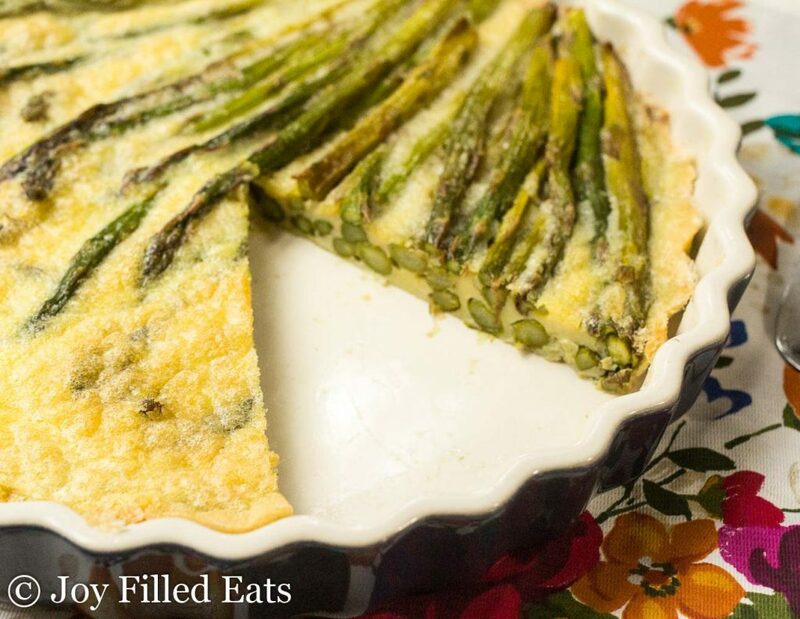 This quiche would be perfect with mimosas on the patio this spring! I am always looking for low carb options for breakfast and I think this would be amazing for Easter brunch. Can't wait to give it a try! I've never heard of butter flavored coconut oil. Can ya just use more butter? Yes, in the egg mixture. To roast the asparagus you will need a cooking oil.